Why Do Load Index and Speed Rating Matter? Ever wonder what the Load Index and Speed Rating on your tires mean? Ever wondered if they were important to know? Well, wonder no more. In today’s blog article, we will talk about what speed rating and load index are and why they matter to your safety. The load index is a two or three digit number assigned to a tire’s load carrying capabilities. The higher the number, the larger the weight the wheel can carry. Inversely, the smaller the number, the lower the amount the wheel is capable of hauling. 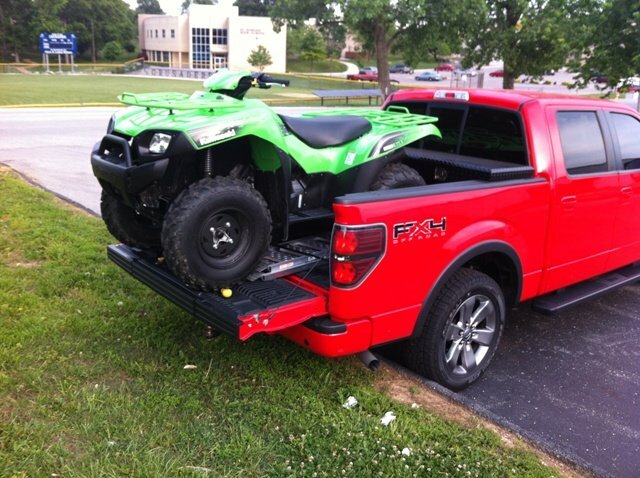 Using the chart above, and using 255 40R17 94W tires as our example, the load index would be 94. 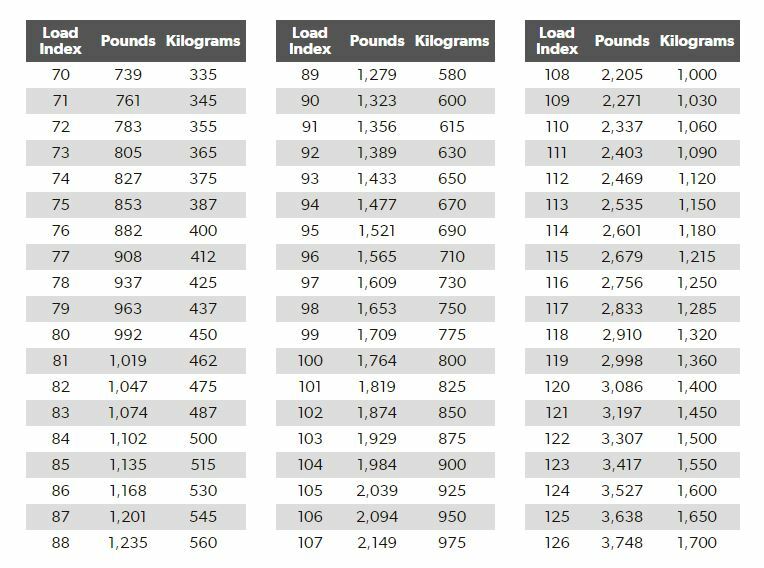 A load index of 94 identifies the tire’s load carrying capabilities to be 1,477 lb (pounds) per tire. One should be careful when purchasing new wheels because tires of the same size can have different load indexes. If you buy tires with a higher load index than what was originally on your car, you have increased your car’s load capacity. If you purchase tires with a lower load index than the original tires, you have lowered the load carrying capacity of your car. Although there is nothing wrong with buying tires with a higher load index, you should be cautious of buying tires with a lower load index. You may be accustomed to carrying a higher load than your tires will be able to support. Contrary to what you may believe, the speed rating isn’t based merely the maximum speed at which a tire can be safely driven. The tire’s grip, cornering ability, ride comfort, and wear durability, are all taken into account when determining a wheel’s speed rating. As such, as the speed rating increases so do the tire’s grip and cornering abilities. At the same time, the tire’s tread life will decrease. This is highly evident in car racing, such as Formula 1, Nascar and Indycar racing. The car can travel at incredibly high speeds; however, the tires have very littel tread life. A lower speed rating will generally mean the tire has a higher tread life. This can be witnessed in 18-wheelers. 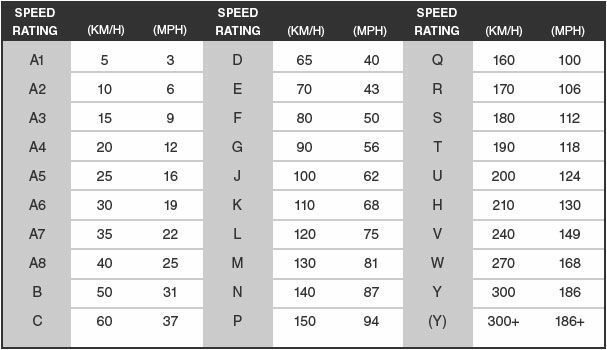 Using the chart above and our example 255 40R17 94W tire, the speed rating would be W. A W speed rating indicates the tire can be safely driven at speeds up to 168 mph. It is crucial to note that speed ratings are only applicable to undamaged and unmodified tires. Other factors including under-inflation and over-inflation will change the tires speed rating and their reliability. 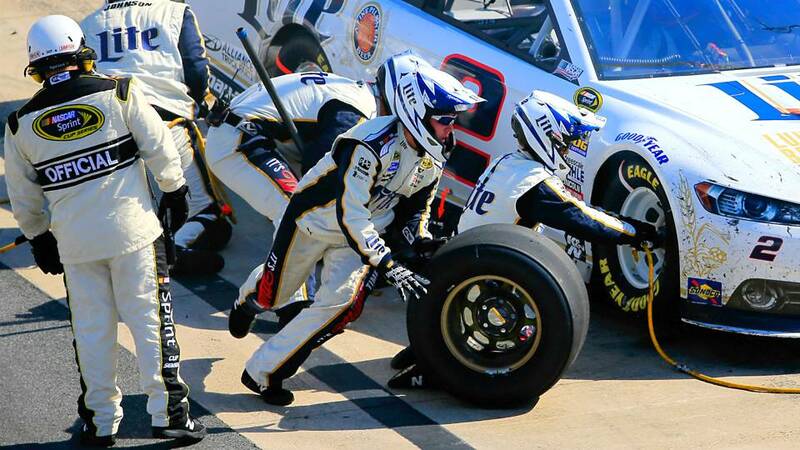 Most tire manufacturers state repaired tires that have been punctured no longer maintain the original speed rating because the original structural strength has been compromised. If you are unsure about which tires to get for you vehicle, don’t hesitate to contact us at 714.239.1122. Our highly trained sales team will be more than happy to assist you.